Posted August 4th, 2017 by Media Heroes. With relatively few moving parts, a sturdy frame and little weight, bikes are among the most reliable methods of transport. Unlike cars, which are complex and require frequent servicing, bikes are easy to maintain. However, this does not mean that your bike will never need a service. Quite the opposite in fact; you should be getting your bike serviced at least once a year. But there is still a great advantage to your bike’s simplicity: you can easily tell when it needs a service. 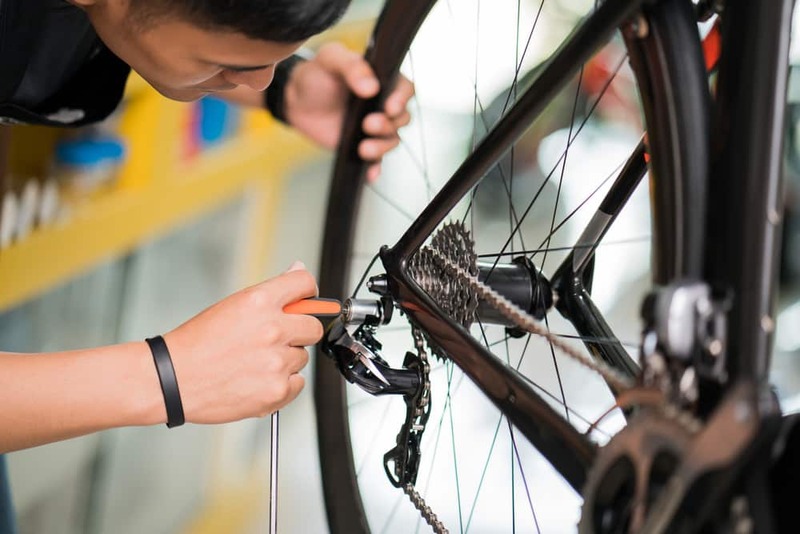 To help you identify when your bike needs a service, we have created this list of five signs that your bike needs a service. Probably the most complicated feature of a bicycle is the gearing system. This is basically the system that provides you with control of the transition of the chain between gears. It is a relatively intricate system, so if it is not looked after well it can begin to fail. However, in most cases, you will receive plenty of warning that there is something wrong. Your gears should transition flawlessly. Anything short of that is a sign that you need a service. Often, issues will take the form of loud clunks, or even unsolicited gearshifts when you apply pressure to the pedals. Anyone who has experienced a gear slip like that will know that it can be dangerous, so you ought to get a service sooner rather than later. Any signs of rust should sound alarm bells for you. Rust has no place on any moving components, although it is all too common. If your bike spends a lot of time in the rain, or in a salty coastal environment, rust is likely to be an issue. But with frequent servicing from experts, it does not have to be. The right application of water dispersants, coupled with replacement parts where necessary should put a halt to your bike’s rust. Regardless of whether you cycle on the road, the bike path or a bike trail, your brakes are the most important part of your bike. In many cases, you have to trust them with your life. So at the first signs of failure or deterioration, you should get your bike serviced. Mostly, brake failure will begin as a slight increase in your overall stopping distance. If you are noticing this creep up on you, then the time to take action is now. Get a service and enjoy the confidence that comes with well-conditioned brakes. Not all bike deterioration is catastrophic or dangerous. Sometimes, it is just annoying. An example of one such issue is your bike seat. If you decide to try adjusting it for the first time in a while and it doesn’t budge, it’s probably time for a service. While this is not paramount, it can be indicative of your bike’s overall condition. So eliminate the guesswork and take it in for a service. At the very least you can get your bike seat adjusted for you. Finally, the classic undiagnosed noise is a great indicator that your bike needs some love. Whether it is a clunk every now and then, a subtle squeak, or a generally strange feeling, a service will help. In all likelihood, you will be amazed at the difference once the service is complete. Many issues materialise so gradually that you hardly notice until after the service when your bike is smoother than ever.